Review by Si Pettit. Worcester isn't a place people normally associate with any particular genre of music. That's not to say that the musical output of the city itself has been lacking. Rather, it seems harder for any bands to really stand out there. I've never been, so for all I know there's a thriving indie scene that is just waiting to be taken advantage of by the ears of thousands, if not tens of thousands. The only two notable musicians to hail from the county that spring to mind, (or are the first two people on Google), are Dave Mason of Traffic, and Karl Hyde of Trance duo Underworld. If, however, and this is a relatively big if, there is a new act out there that can show the rest of the country that, yes, they do have a scene and it's just as good as anyone else's, then Navajo Ace are most likely to be the band that does it. Navajo Ace describe themselves as a "new dynamic indie rock band from Worcester, UK". Boldly sallying-forth with their claim that they're "garnering themselves a reputation as an interesting underground band that make music with power and soul". I can't personally verify this, given that I don't live anywhere near Worcester, but I'll happily take their word for it (for now). Remember kids: Self-belief in your own brand is crucial. Today we're listening to Navajo Ace's 5-track debut E.P. Five Turnings. As soon as first track, Tiger in the Tank, starts I'm struck with how much vocalist Adam Barnes sounds like head Decemberist Colin Meloy in the first 14 seconds. Consisting of Adam and his guitar, before drummer Crag Sharpe informs the rest of the band that the song has started properly now. As soon as Alex Stobart and Christian Burton chime in, (guitar and bass respectively), I was instantly recalling the subtly tempered rawness of British Sea Power. In particular, the breakdown at roughly 2 minutes in being very reminiscent yet not derivative, as the band make good use of dynamic changes to accentuate the energy with which the track had started, including a very self-reflective outro normally only heard in the music of established indie stadium acts from 2008. Navajo Ace have managed to tap into a particular thread of post-millenial Indie rock acts like Abandoned Pools and The Tender Box , whilst retaining a little bit of the early 90's angst that recent Alternative Rock was all too eager to shed, deciding instead to try and 'mature'. Both Underneath Cars and Awkward Places take me back to 2006, (specifically 2006). Both tracks seem to be to halves to the same overall theme, though with their own unique configurations. Even the music video for Underneath Cars (which is helpfully embedded at the bottom of this article), is reminiscent of the era it's emulating so well, even going so far as to set fire to Ernie and Elmo toys from Sesame Street. Either way, they directly connect with the angst that all of us have coursing through our veins whether we like to admit it or not. These songs perfectly capture that bittersweet prelude to adolescence, too young to care, old enough to know better, and everything's just happening around you all the time regardless of your input. Five Turnings, for me at least, is the stand-out track, and that's not just because it shares its name with the E.P. It has a wonderfully triumphant-sounding vibe that you'd be forgiven for thinking was a lost My Vitriol track from 2003. The vocal line sounds almost nursery-rhyme-like as it follows the main guitar riff. The band have chosen to use a lot of elements often found in other acts of their ilk, including but not limited to the rhythmic patterns found on albums like Bleed American by Jimmy Eat World or British Sea Power's Do You Like Rock Music?, and riffs that would feel at home in a Doves setlist. The final track, Drop The Needle, seems to follow on quite well from Five Turnings. That may just be the fact that they're in the same key, not unlike Underneath Cars and Awkward Places, whilst Drop The Needle seems to relate well to its predecessor, it doesn't really distance itself enough to stand out. Especially after having heard the anthemic nature of Five Turnings once already. It does, however, end the E.P. on a high note, almost as if to say "yeah, things can be difficult, but pain is always temporary, and things do get better". That, or I read far too much into these things. Look, music is subjective, alright? Overall, Navajo Ace's first E.P. is a well-constructed debut release, and the band themselves show a lot of promise. They seem to take themselves just seriously enough to write music reminiscent of the Power-Pop renaissance some of us experienced in the late 00's. Like any band just starting out, they're quick to show off their compositional ability, and they showcase it well. My only real gripes are that, whilst there's plenty of varied compositional elements in each song, they all share many of the same qualities that make it difficult for any of them to stand out on their own individually. Despite that, the E.P. is well mastered, not succumbing to the same kind of overproduction that so many casualties of the loudness war have suffered in recent years. 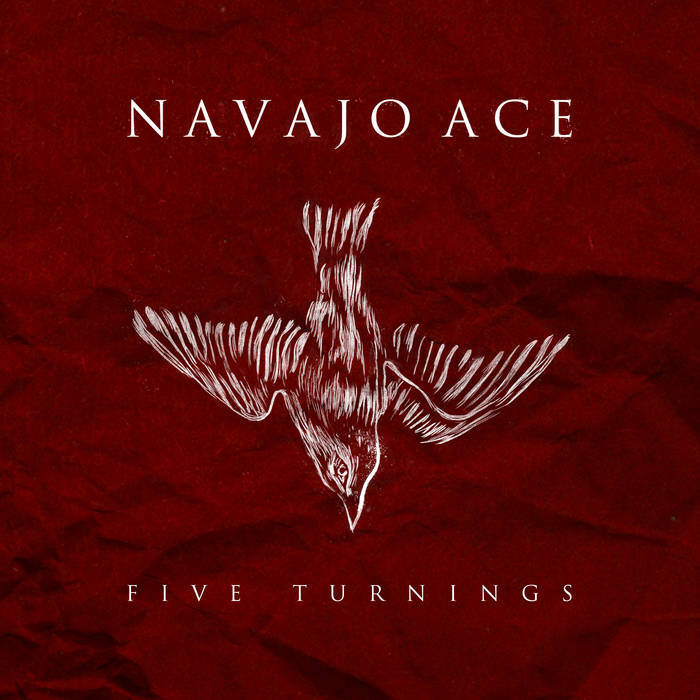 Regardless, Navajo Ace are well worth keeping an eye on whilst they navigate their journey through the Indie scene, and those of you that are inclined to do so can check out the links below. You'll like this if you're a fan of: British Sea Power, My Vitriol, Doves, Jimmy Eat World. Oh, hi! Still reading? That's helpful actually, because we have something to tell you: Stabbed Panda is an independent music blog, run by a handful of people for whatever trickle of ad money we can get. We hope we can keep uploading stuff here for a long time, and keep access to it free without resorting to hideous, intrusive adverts. If you'd like to show some support and help us do that, please take a look at our Patreon Page and unlock some rewards. Thanks and that.